Tamasaburo Bando, Japan’s leading specialist of “onnagata” — the theatrical portrayal of a female kabuki character by a male actor — was on Tuesday honoured by the French government. Bando, named a “Living National Treasure” in Japan last year, was made a Commander of the Order of Arts and Letters by Culture Minister Aurelie Filippetti at a ceremony in Paris. 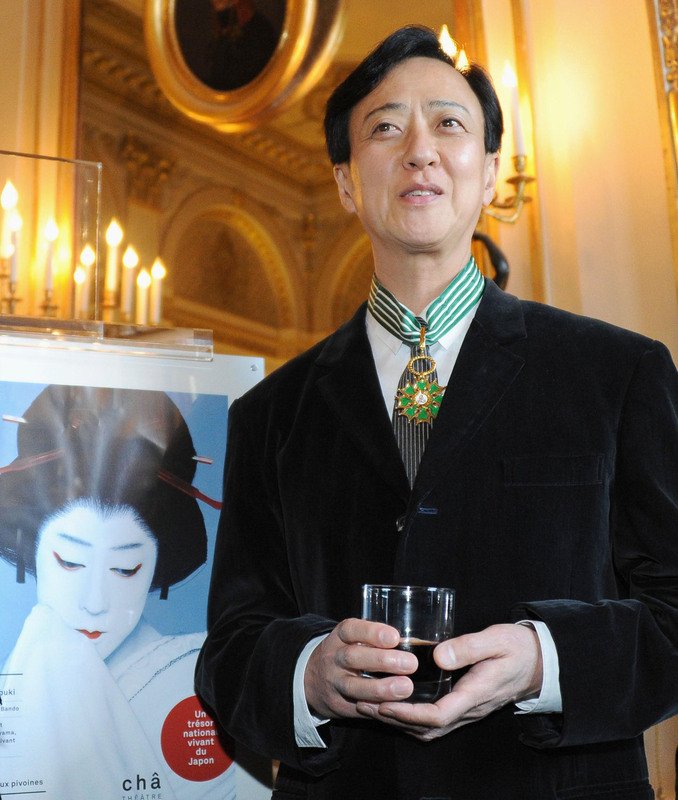 Earlier this month, Bando, 62, won wave reviews in Paris for his Chinese opera classic “The Peony Pavilion”, a classical Chinese opera which he directed and starred in. Kabuki is a form of traditional Japanese theatre that has been performed in the country since the seventeenth century, combining dance, drama and music.